We all know a main part of the American Dream is the dream of owning a home. However, some people just aren't there yet and you may be one of them. It is important you know while homeowner is a key driver of personal net worth and financial freedom, there are times when renting a home may be a good choice. When you have plans to relocate. 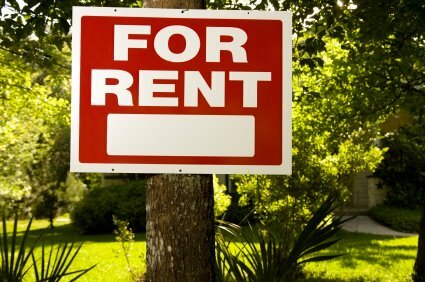 If you are living in a place that you do not want to call home for at least 3 years then renting might be right for you. When it comes to investing in a home you are saying that you are not only investing your money, but your time, in your current location. Having dreams of moving out of state or across the country in the near future may make renting a home better for you. Remember, traditionally home values increase on an annual basis, but there are costs associated with the purchase and ownership of a home. Over time these costs are far outweighed by appreciating value of your home, but time is often a key aspect of the this gain. When you are looking to make a job (or other big life) change. Have you just graduated college and have yet to start your career? Are you in the middle of leaving one company to join a new one? Or are you about to tie the knot with your significant other who calls home a different state than you? Not knowing exactly where you are going to be in the next year makes buying a home challenging. Life changes can be stressful and going through too many at one time can be even more so. Deciding to rent because of something like this is okay in our book. When you are still establishing your credit. When you turned 18 you thought opening a line of credit at your favorite store was great until you maxed out your credit card and ran late on a few of your payments, hurting your credit in the long run. This happens to a lot of people before they realize just how important their credit score can be when making big life decisions like buying a first home. Deciding to rent in order to build back your credit can be a wise choice in the home buying process. When you need low-to-no maintenance. There are many other factors that come with buying a home besides whether or not you can afford the monthly mortgage payment. The upkeep and maintenance on a home can be something you are not ready to handle for a number of reasons. If you are not able to keep up a lawn, repair a leaky faucet or replace an A/C unit due to financial or health reasons, owning a home may not be right for you at this moment. When you have an unstable income. This can go hand-in-hand with our previous point. Finances play a factor in home ownership and having an unstable income can be a deterrence when it comes to buying and owning a home. If you are expecting a pay cut in the near future, that can change your ability to borrow as well as impact your ability to pay a mortgage. Being financially sound will help ensure that you are able to buy the right home at the right time. At the end of the day, we want you to be able to make the decision to buy your next or first home when it is the right time for you. Dream Builders Realty’s mission is to help everyone achieve their American Dream and home ownership is an important aspect of this. However, we are committed to helping people do so when the time is right - not just to "keep up with the Joneses..." If you think you are ready to buy, check out our post on who to call when searching for your first home. Did you know you can use our mobile app to search for the perfect rental home, too? 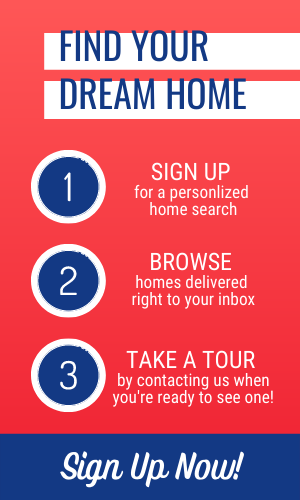 Download our FREE mobile app and start your rental home search now!